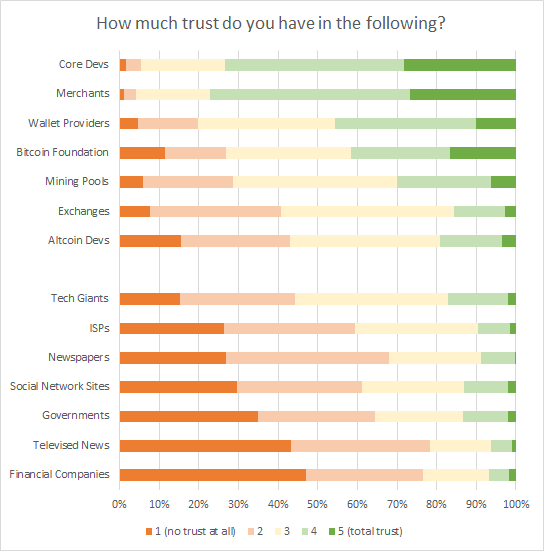 The major new addition to this year’s survey was a set of questions about trust, a rich avenue of inquiry for the “trustless” network. There is a clear divide between the relatively strong trust held by Bitcoin users for those within the cryptocoin ecosystem, and the poor trust held for traditional and established authorities. 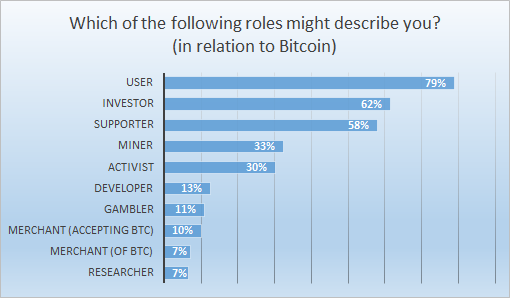 That said, many are also suspicious of altcoin developers, exchanges, and mining pools. The only group to elicit strong reactions of both extremes was the Bitcoin Foundation. 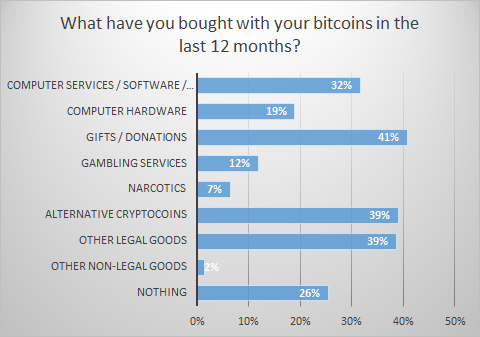 Even though “Merchants accepting BTC” are substantially more trusted than altcoin developers, respondents have been ploughing money into both. Meanwhile black market use continues to decline. 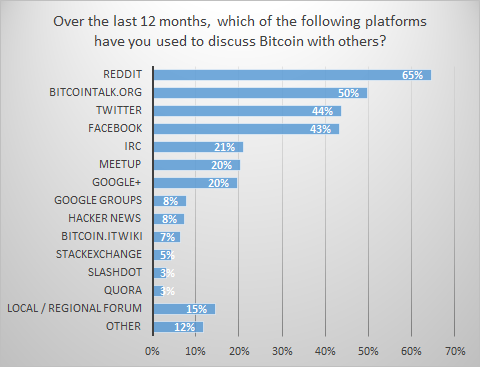 Reddit has become the leading discussion space for Bitcoin, but BitcoinTalk is still holding its own. Maybe the bigger development is the growing chunk of the community using mass market platforms like Twitter and Facebook. 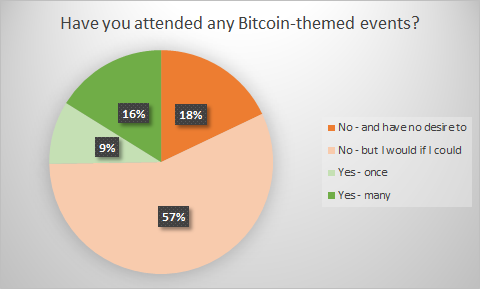 The reasonably strong presence of Meetup in the chart above is also interesting, and reflected in the fact that a quarter of the community has attended a Bitcoin-themed event in the last year, and a large majority would go to a Bitcoin event if they could. 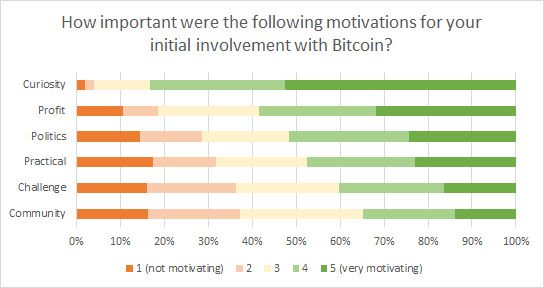 When asked if they feel part of a global and/or local Bitcoin community, the responses were clear cut. 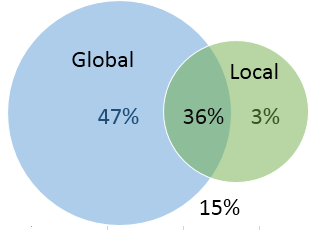 Bitcoiners are unlikely to feel part of a local community unless they feel part of the global community. …but the profit motive is still a prime motivator, second only to curiosity. Now take the survey yourself!